I started running right before I turned 30. It's often referred to as Adult Onset Running Addict. Hah. I started running to lose a few pounds, the weight was creeping up and I wasn't prepared for this. What? You mean I need to exercise to stay healthy and maintain my weight? It's not fair, I never had to do that before! The truth is that my unhealthy lifestyle was catching up to me. As we get older, if we remain inactive and make poor nutrition choices the forgiving metabolism of our youth goes away. In retrospect gaining 30 pounds before I turned 30 was the best thing that ever happened to me. If I would have been able to maintain my slim figure without exercise or proper nutrition, I would never have had the motivation to exercise or live a healthier lifestyle. I would never have become a fitness trainer, blogger or coach. I am healthier at 43 than I was at 29. I started running to change my body but instead, I changed my whole life. I started blogging about my running journey and rediscovered my love for writing. I started strength training to feel strong and capable. I got my personal training and running coach certifications and found the joy and purpose to help other people reach their goals. I started exercising to lose weight, but I found myself. 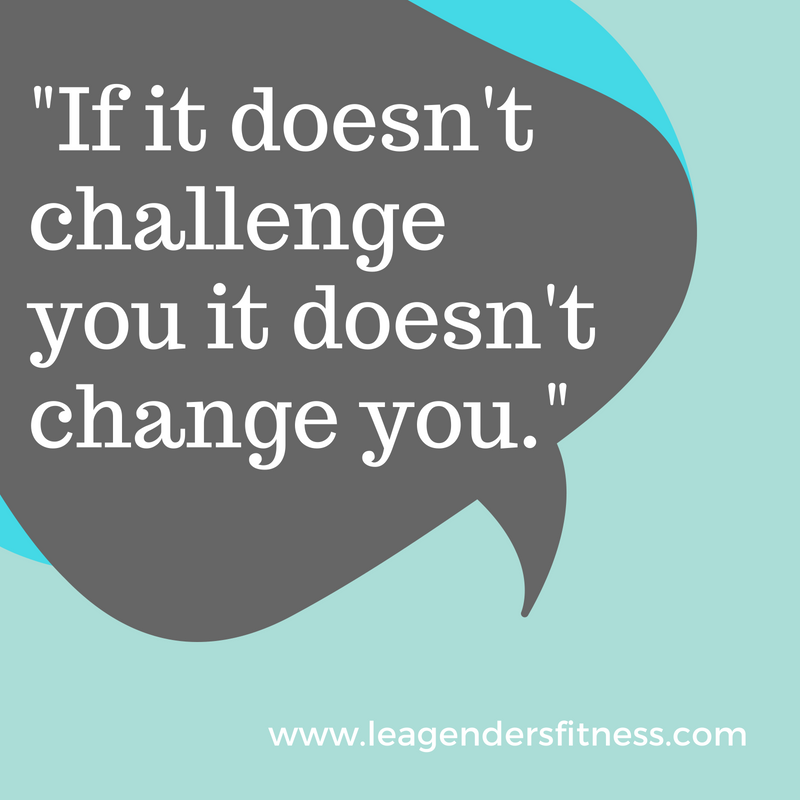 My fitness journey wasn't easy and it certainly wasn't linear. I learned hard lessons and repeatedly made the same mistakes. My weight yo-yo-ed more times than I care to admit. I'd lose the weight, then gain it back. Lose it again, gain it again. Repeat a couple more times. Losing weight was always easy for me, it was keeping it off that was the hard part. It took me a long time to figure out what works best for my body. It took trying and failing and trying again to learn to break free from that all-or-nothing mindset. It was a hard and frustrating experience over several years that taught me a lot about myself, but I emerged a better person with an understanding and compassion for people who are struggling to lose weight. I get it. I was right there too. 5 lessons learned from my fitness coaches. Save to Pinterest for later. I had come into contact with several coaches and fitness trainers over the years that taught me some valuable lessons. Some coaches I can remember well, some I can only remember their faces, and others I can only remember their class, but they made an impact on my fitness journey, even if in some small way. A lot of these lessons I have heard again and again over the years, but it was the first time I heard it that made a difference in my life. These kinds of lessons are what motivates me to help others on a similar journey. Even though these concepts weren't new, they were new to me at the time and they made a difference in my life. When it seems like all the information is available at our fingertips and nothing is new, there is always someone who could benefit from it. As trainers, sometimes we fall into the trap of assuming that everyone knows everything we know. We leave out the basics or assume it's all been said/done before. It's why I try to remember the beginner's mindset and start from there. We can always grow but we must build the foundation first. If we attempt to jump into advanced concepts and forget the basics, we set ourselves up for failure. It's the simplest lessons I learned from my coaches over the years that made the biggest difference in my life. Well, I think his name was Ben. He was a soft-spoken, big-muscled trainer with one strategy I had never heard about before: the mind-muscle connection. During the movements, he would tell us to say out loud "lean muscle." I thought it was really weird. I thought it sounded a little like a cult with twenty people chanting "lean muscle" while they exercised. I did what he said even though it sounded strange. I didn't know anything about the mind-muscle connection at that time. I learned over the years when you focus on the muscle being worked during exercise, you can have better results than if you zone out, rush through the exercise and think of something else. These days, a decade later, I always say to myself "lean muscle" when I'm performing my reps.
Sure sounds like I attended a lot of boot camps over the years. Dave Fannin from the Body Firm Boot Camp here in Fort Worth was the first boot camp that I attended that made nutrition education a part of the program. I remember sitting in his introduction class and he said something that was new to me: "Fat burns in a carbohydrate flame." I was in the middle of my yo-yo dieting at this point and spent a lot of time being afraid of carbs. I didn't know a lot about nutrition at the time, except what I read in magazines and on the internet (shout out to MySpace!) and that time, everyone was on the Akins diet. It was a big part of the reason I struggled with my weight because I was trying to follow diets that weren't sustainable for me. He drew a picture on a chalkboard and his simple explanation of a complex physiological concept opened my eyes to the fact that natural, whole-food carbohydrates are not the enemy of weight loss and health. It may have been the catalyst that started me on a more well-rounded, sustainable nutrition approach that has allowed me to maintain my weight year after year. I attended a community class over at City Surf FItness in Deep Ellum Texas a few years ago around the time they opened. City Surf is this fun fitness class concept that props surfboards on stability balls for an unstable yet controlled surface. The instructor was a surfer-girl from California who moved to North Texas far away from the ocean and waves. I wobbled, fell, stabilized and then did it over again, all while trying to do strength exercises. She said something that pushed me to keep trying despite the challenging environment: "If it doesn't challenge you, it doesn't change you." It's now something I keep in mind to build mental toughness while working through hard situations, whether running, lifting weights or in my life. Of course, I've heard this again many times over the last couple years, but it was the first time I heard it that stuck with me. For another local community event, I headed over to Pilates Methodology in Dallas to try a class. Despite never having done Pilates outside of a DVD, I accidentally signed up for the intermediate class. Oops. Let's just say it was challenging. I was not prepared for how hard these simple, low-impact movements could be. As I walking out after class it became apparent that my attempts to hide my struggle failed, because the instructor said to me, "I hope you'll come back again. It doesn't get easier, it gets more achievable." This little piece of advice is something I think about often when I am trying something new. It's always hard in the beginning. Over time it doesn't cease being hard, but it does become achievable with work, persistence, and consistency. It doesn't get easier, it gets more achieveable. Have you had a fitness instructor, coach or trainer who made an impression on your life? It reminds me that the words we say can have a big impact on people. A lot of these lessons were learned a decade ago, and even if I can't remember the instructor, I remember how they made me feel. That's the point of all this. Let's give each other hope, encouragement, and compassion in all that we do. You never know how an encouraging word will change someone's life for the better. Thank you coaches. Like this post? Know someone who may benefit? It helps me when you share with your friends and followers.